Could your child benefit from? 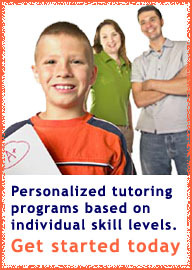 Advance Tutoring Academy is a tutoring service which offers personalized programs based on individual skill levels. This is the reason that we are so successful, since the general group approach does not always work for everybody. We assess each student for skills in math, reading comprehension & writing skills, as well as grade level courses such as Chemistry, Biology etc. We also offer group sessions for students preparing for Provincial Exams in grades 10 & 12. In addition we offer courses to improve reading comprehension and writing skills according to grade levels. Group sessions include no more than 4 students to allow for individual coaching as necessary, and we always make the effort to ensure that we only group together students at similar skills. In addition to academic subject tutoring, we also teach study skills courses, for those students, who spend a great deal of time studying without the results to show for their efforts. For students who suffer from mild to severe test anxiety, we offer courses in test-taking skills. Since many students ask us for advice about university applications, course selections and career choice, we offer individual session during which we help students research career choices, post-secondary institutions and help them with the application process. Webmail Login | Website development by Compass Media.